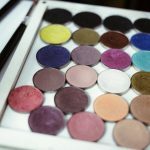 I have a confession to make… Up until recently, I was not a big fan of DIY body butter. I’ve always liked the texture of whipped body butter and how my skin felt the next day. But what I didn’t like was that greasy feeling you are left with once you apply the body butter. The butter just sits on top of your skin, and it takes ages for it to sink in. So, what is supposed to be a 3-minute moisturizing treatment before bedtime ends up being a half an hour wandering around the house, waiting for the butter to sink in. Either this or dirty, greasy bed sheets in the morning. 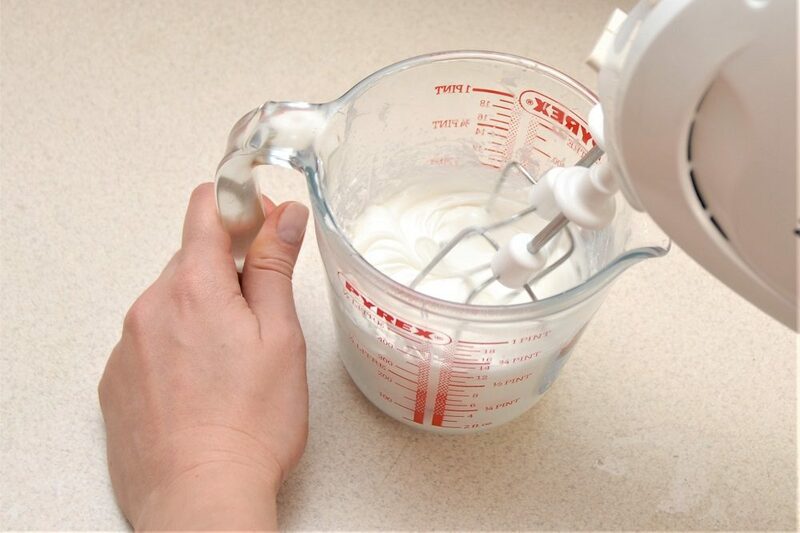 Of course, there are ways to make your DIY body butter less greasy. For example, adding some tapioca starch to your body butter recipe will make it feel less greasy. Have you ever tried it? It works great. But this means buying and adding another ingredient to the list. And I like things simple. 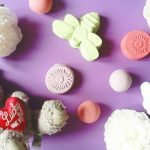 So I went on a mission to create a simple, fast absorbing body butter recipe. 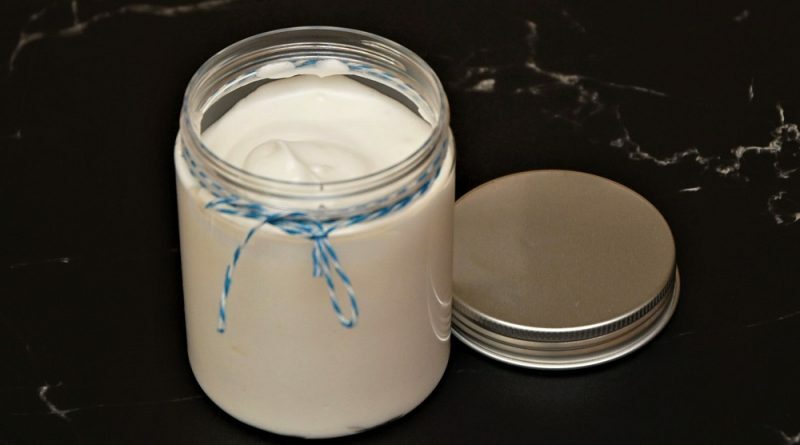 A full day of reading and several jars of homemade body butter later, I am ready to share with you the easiest fast absorbing DIY body butter recipe. 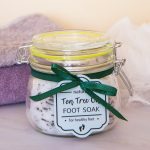 It leaves my skin moisturized and soft, sinks in within a couple of minutes, and as a bonus, it helps maintain healthy legs by improving blood circulation. I chose these ingredients for a reason, and if you are curious why, continue reading. You might be surprised to see mango butter in this recipe since most body butter recipes have shea butter or cocoa butter in them. But both shea and cocoa butter are very greasy and slow to absorb. They are great for things like DIY lip balms or cleansing balms, but for a body butter - mango butter is my choice. Mango butter is very similar to shea and cocoa butter in terms of texture and composition. Just like the two, it is solid in room temperature and packed with fatty acids and vitamins. 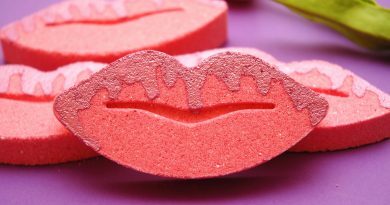 - It is absorbed by skin quickly, meaning you can dress up almost immediately. - Has almost no odor. If you worked with cocoa and shea butter before, you know that they have a very strong smell that can be hard to get rid off. I personally love the cocoa smell but dislike the smell of unrefined shea butter. 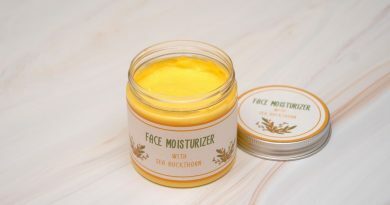 - If you are allergic or sensitive to shea or cocoa butter, mango butter is a safe alternative. Sweet almond oil is definitely my favorite when it comes to oils for DIY body products. Almond oil is an efficient yet lightweight moisturizer. It is well absorbed by the skin and is proven to reach the third layer of skin, while most oils can moisturize only the top two. Additionally, sweet almond oil has one amazing property that other popular carrier oils do not have – it is Sclerotherapeutic. Sweet almond oil can be used to improve conditions like spider veins and varicose veins. Topical application is enough to reduce vein inflammation and make veins less visible. These are just two of my favorite properties of the sweet almond oil. You can read more about how this oil can benefit your skin here. I always add essential oils to my DIY body butter. First, they make it smell nice. And we all want that, right? Second, essential oils can add amazing healing and beautifying properties to the product. 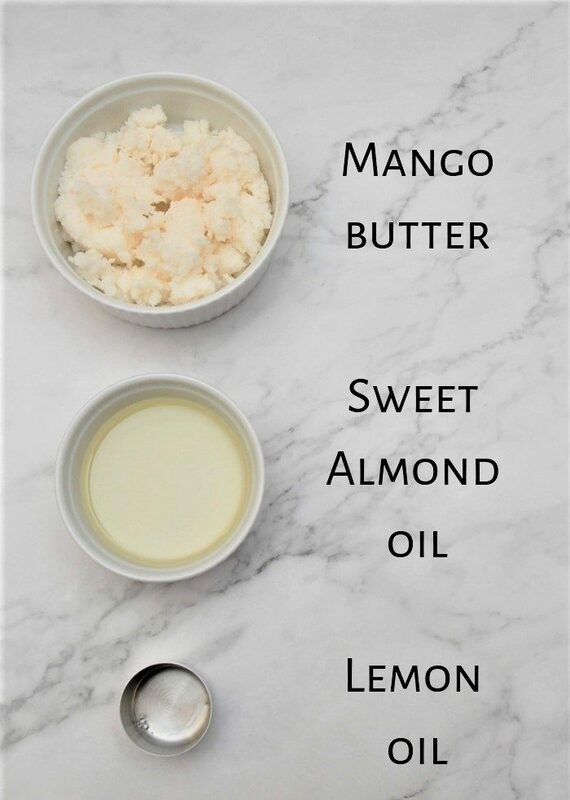 For this mango body butter recipe, I like to use lemon oil. 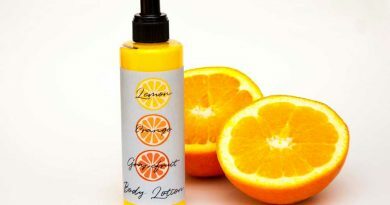 Lemon oil is known to improve blood circulation, strengthen capillaries and make them more elastic. 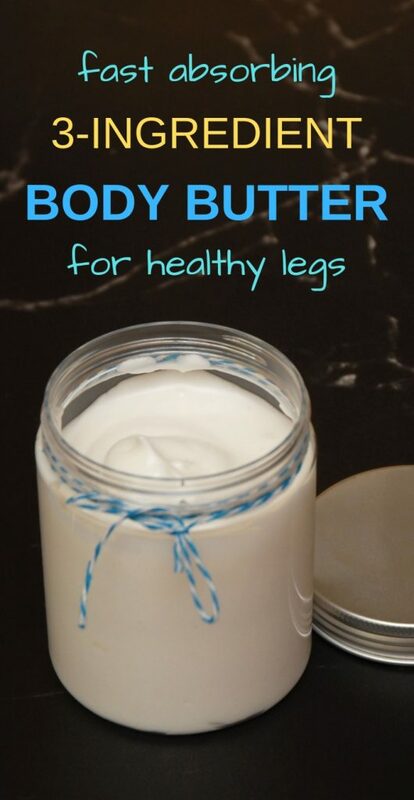 So if you have poor blood circulation, tired legs, spider veins or a job that requires standing all day, I would recommend adding lemon essential oil to your DIY body butter too. If none of the things mentioned above is a concern to you, then feel free to add any essential oils that you like. Lavender oil is a nice choice. 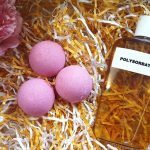 It smells great on its own and will provide a calming effect, which is great if you like to use your body butter before bedtime. So, now when you know what ingredients you need and why, let’s move on to actually making the body butter. 1. Mango butter is solid in room temperature, so you will need to melt it. To do so, prepare a water bath (fill in a pot or a sauté pan with about 3cm/1” of water and place it on the stove). Combine mango butter and almond oil in a heat resistant cup and place it in the water bath. Heat up the water and wait until mango butter melts (low heat). 2. Once mango butter is fully melted, keep it heated up for about 5 minutes and remove from the stove. 3. Place the cup with the mango/almond oil mix in a bowl with ice or a fridge until the oils start to solidify (about 15min). The key here is to make sure that the oil mix cools down quickly. If left to solidify in room temperature, mango butter (just like shea butter) might become a bit grainy. This happens due to butter crystals solidifying at different rates. It will not lose its properties because of that, but it won’t feel as smooth. 4. When your mango/almond oil mix has cooled down, whip it for 2 minutes and put it back to the fridge/ice bath for another 10 min. Add the essential oils and whip more until you are happy with the result. 6. Scoop your mango butter into a jar and enjoy. Awesome body butter!! I didn’t have the sweet almond oil so I used a mix of half coconut oil and jojoba oil instead and it worked like a charm. 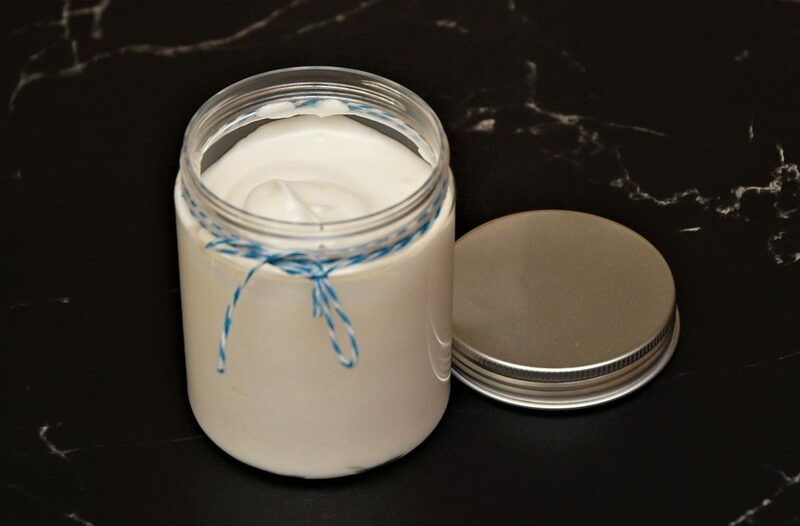 I have been making DIY body butters for almost a year now and could never get one that wasn’t too greasy until I tried your recipe… it is the best. Thank you, thank you! !